Publisher: Houghton Mifflin Company, Boston & New York. No date, research reveals it to be circa 1929. Condition: Hardcover, boards. Fair to good. Some visible wear to boards and tanning to pages. Text clean, binding tight. Uncut pages. 300pp. App. 8.5″ by 5.5″. This translation is Part 1 of Genji, comprising chapters Kiritsubo to Aoi, published before Arthur Waley completed his 6-vol complete translation in 1933. The Tale of Genji (源氏物語 Genji monogatari) is a classic work of Japanese literature written by the noblewoman and lady-in-waiting Murasaki Shikibu in the early years of the 11th century, around the peak of the Heian period. 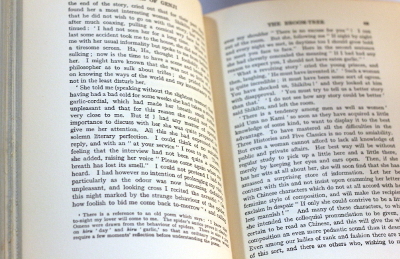 It is sometimes called the world’s first novel, the first modern novel, the first psychological novel or the first novel still to be considered a classic. Notably, the work also illustrates a unique depiction of the lifestyles of high courtiers during the Heian period. While regarded as a masterpiece, its precise classification and influence in both the Western and Eastern canons has been a matter of debate. 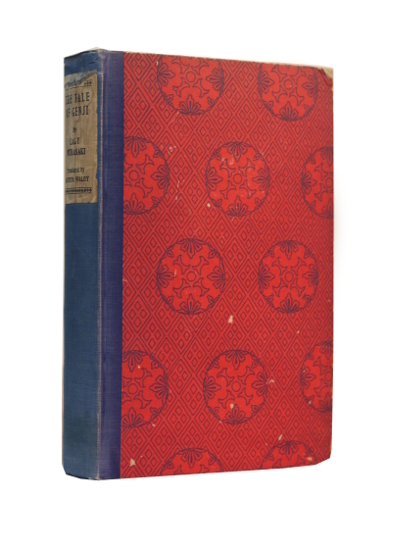 Arthur Waley published a six-volume translation of all but one chapter, with the first volume published in 1921 and the last in 1933. Waley’s Genji is considered a great achievement for his time, although some purists have criticized Waley’s changes to the original. Others have criticized as overly-free the manner in which Waley translated the original text. Regardless, it continues to be well-appreciated and widely read today. 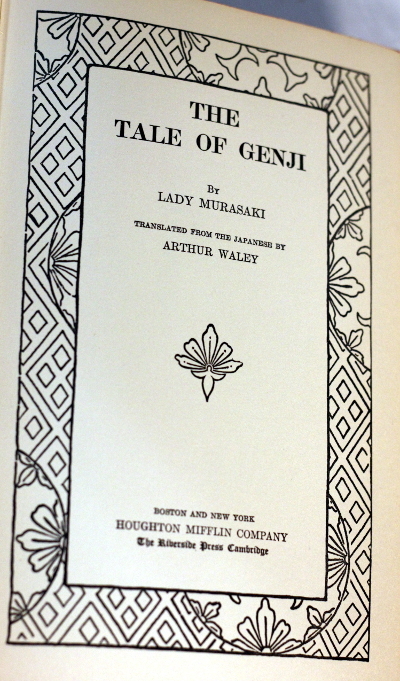 When the Waley Genji was first published, it could not have been more eagerly received. For example, Time explained that “the reviewers’ floundering tributes indicate something of its variegated appeal. In limpid prose The Tale combines curiously modern social satire with great charm of narrative. Translator Waley has done service to literature in salvaging to the Occident this masterpiece of the Orient.